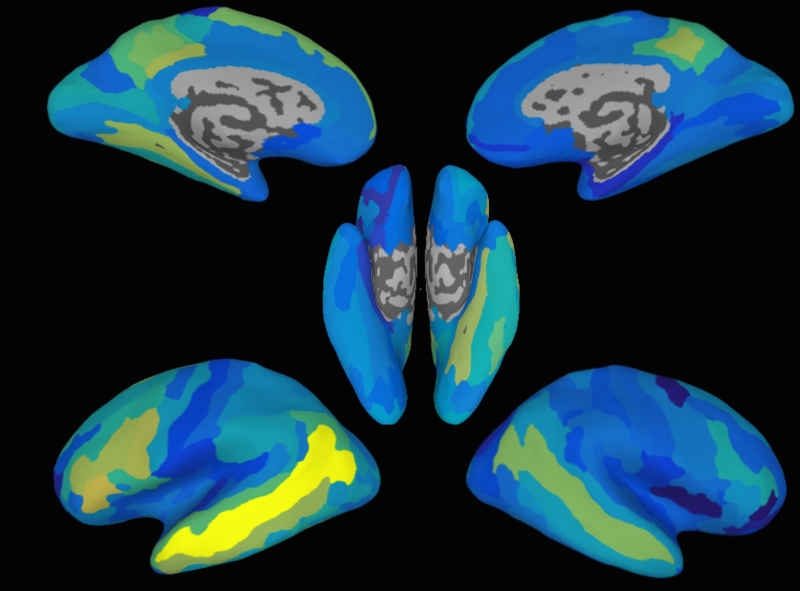 The study used functional magnetic resonance imaging (fMRI) to measure human brain activation. “Using fMRI data, we wanted to know if given a whole sentence, can we filter out what the brain’s representation of a word is—that is to say, can we break the sentence apart into its word components, then take the components and predict what they would look like in a new sentence,” said Andrew Anderson, a research fellow who led the study as a member of the lab of Rajeev Raizada, assistant professor of brain and cognitive sciences at Rochester. “We found that we can predict brain activity patterns—not perfectly [on average 70% correct], but significantly better than chance,” said Anderson, The study is published in the journal Cerebral Cortex. To predict the patterns of particular words within sentences, the researchers used a broad set of sentences, with many words shared between them. For example: “The green car crossed the bridge,” “The magazine was in the car,” and “The accident damaged the yellow car.” fMRI data was collected from 14 participants as they silently read 240 unique sentences. The new semantic model employs 65 attributes—such as “color,” “pleasant,” “loud,” and “time.” Participants in the survey rated, on a scale of 0-6, the degree to which a given root concept was associated with a particular experience. For example, “To what degree do you think of ‘coffee’ as having a characteristic or defining temperature?” In total, 242 unique words were rated with each of the 65 attributes.